Lynda C. Fora beloved wife of 36 years to Cornel Fora, loving mother of Stephanie (Kyle) Bee, Zack and Kaitlynn Fora, cherished grandmother of Rory Bee, sister of James (Heather) Chism, Christopher Pichler and Joseph (Kim) Pichler, many nieces and nephews. 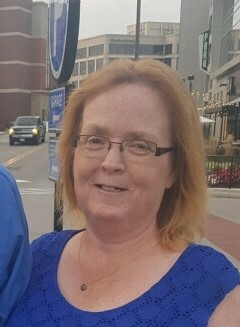 Lynda was called home on Wednesday, February 6, 2019 at age 52 after a year long struggle with ALS. Family will greet friends Saturday 3:30 PM until time of memorial service at 4:30 PM at the Vitt, Stermer and Anderson Funeral Home 4619 Delhi Rd.